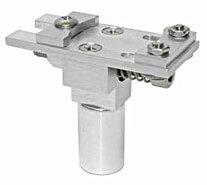 Ted Pella, Inc has greatly increased their selection with a large number of new SEM Specimen Mounts and Holders. It has been long recognized that using the correct specimen mount or holder for SEM specimens lead to better examination results and increased efficiency. Ted Pella, Inc has recently installed a state of the art machine shop and extended engineering capabilities in order to react to the demand for special SEM mounts and specimen holders. Many of the new holders enable direct mounting of a wide variety of specimens or parts without the use of adhesives. This saves preparation time, enables quicker loading of the specimen and avoids out-gassing of adhesives.